Reedham chain ferry on the River Yare near Reedham, Norfolk, UK. 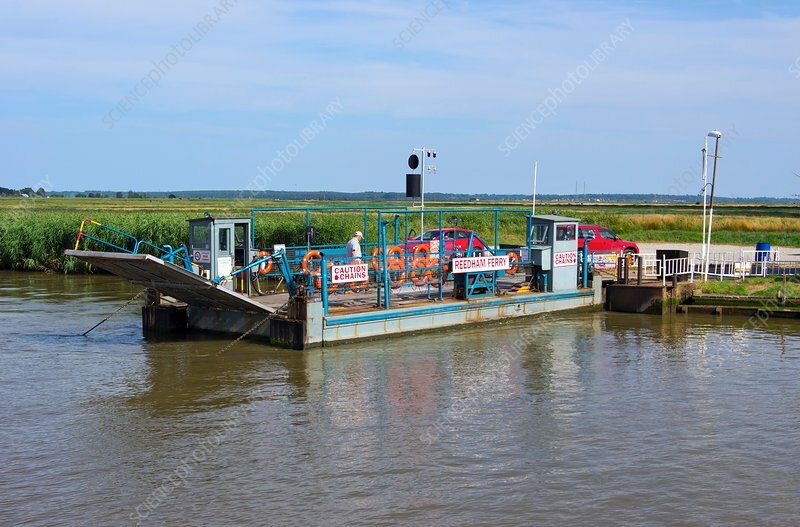 The ferry pulls itself across the river using the chains that can be seen passing through the chain guards on either side of the ferry. The River Yare is popular among tourists on the Norfolk Broads.